The DVD started off with a variety of poses from the stars of the show. 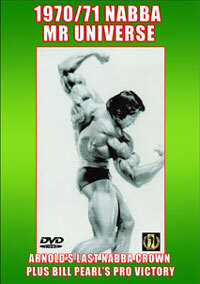 The first half of the DVD was the 1970 Mr. Universe where you see Arnold, Draper and Zane etc. The second half was the 1971 event where the stars were Bill pearl, Sergio, Zane and Ken Waller who won overall amateur Mr Universe. Given that this contest took place 36 years ago, it was amazing to see such a high caliber of competitors. These physiques would awe and inspire most people today, and even though the physiques are a lot more advanced these days on a bodybuilding stage, that doesn't take away their overall general impressiveness. While steroids were used back in the early 70s, it was only steroids back then, and not the smorgasbord of chemical cocktails existing today in the pro ranks. It was not just in terms of steroids, but other performance enhancers such as growth hormone, insulin, diuretics, along with the regular ephedrine/caffeine/aspirin stacks and thyroid drugs such as clembuterol and T3. Bodybuilding back in those days was a lot healthier and even though it wasn't perfectly healthy (since steroids were used), it was a lot more moderate, and so were the physiques. While I look at the freaks today as being very entertaining to watch, I would never aspire to look like them myself. Bodybuilding has progressed as it would with bodybuilders continuing to add more and more mass, but for me, a moderate physique was always the goal, and the older contests are a lot more likely to display physiques like those. Of all the physiques displayed at the contest, Arnold's looked the closest to the modern physiques as far as mass was concerned. While most of the other pros looked small by today's standards, Arnold by no means looked all that small compared to the average pro bodybuilder of today. His arms and chest were huge, and his back, even as a weak point, was fairly big and very conditioned. I briefly saw John Citrone performing strongman stunts during the contest. 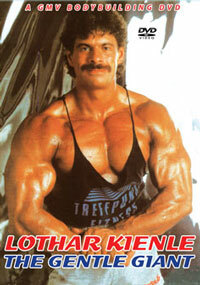 He was a great all round athlete, strongman and bodybuilder who only retired from competition 1 year ago. Arnold certainly looked fantastic by any standard and stood out above the crowd. The format of the contest display in this DVD differed from the norm amongst other GMV present day contest DVDs. While most started off with prejudging footage and then show the individual routines and awards, this contest did not. 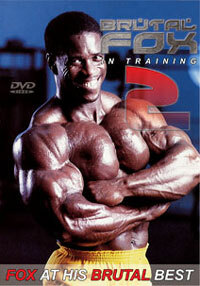 This DVD was also interesting to me in that it verified Arnold's height. Compared to Frank Zane's height of 5'9 and 1/2, Arnold did appear to be a few inches taller, so I think it's safe to say that was actually over 6'0 and may have been close to the height he claimed (6'2). If I had to guess I would say 6'1, but that is impossible to know for sure since I have never met him. I have to say I was incredibly impressed with Frank's physique. In addition to having his well known perfect vacuum pose and razor sharp conditioning, he sported great size and had an amazing taper. Since he is around my height, I can definitely say I aspire to look like he did. Unfortunately, that is more than an issue of work ethic and dedication, but also requires the great genetics that Frank Zane had. Some very beautiful women were featured at the contest and they had timeless physiques. There is a certain amount of muscle that looks incredible on a female body in my opinion, and the women competing in the contest definitely fit that bill! It was the fore-runner of the figure class and was called the Miss Bikini class. It was won by Christine Zane, Frank's wife. Other bodybuilders shown next included Bill Pearl and Reg Park from the 1971 event. Bill had his oil applied perfectly just as Frank Zane did. I was extremely impressed with that seeing as there are many pros today who don't seem to nail their oil and colour show after show. It is such a basic thing that it seems strange that any pro would have a problem with it. Frank Zane was in classic form for the contest as usual. 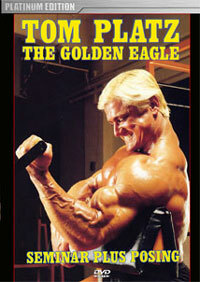 He competed in both 1970 where he was overall amateur Mr. Universe and 1971 where he won the short professional class. 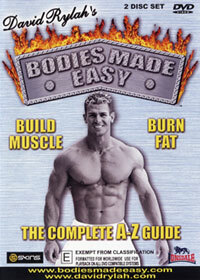 The top pros of the era continued to pose as music played in the background of the DVD. Finally Sergio Oliva posed!! I'll tell you - he was the most impressive of the bunch! At a height similar to Frank Zane (5'9 or 5'10), he looked amazing! His waist was tiny and his arms were as big as anything. 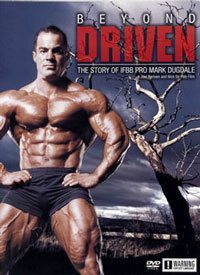 He had massive muscles popping off a tiny frame which to me is EXACTLY what bodybuilding is supposed to be about. What made Sergio so impressive to me is his tiny waist, huge flaring lats, and possibly the most impressive of all - his insanely huge and full football shaped arms. I hear many saying that they like Arnold's arms are better for their peaks, but nothing beats Sergio's huge and full arms in my opinion. Some other arms which are similar in fullness are the arms of Chris Cook and Frank McGrath. Sergio hit a most muscular which was out of sight! His traps jumped off him in that pose, as did his chest and shoulders and his arms! Lined up with the 5'8 Bill Pearl and 5'9 and 1/2 Frank Zane, Sergio appeared to be around 5'9 - definitely a physique that I wish I could have, but almost any experienced bodybuilding fan will tell you that Sergio had literally the best genetics for bodybuilding of all time! I would have to say that the most impressive physiques in the contest would be Sergio, Arnold, and Frank Zane. Although I personally prefer both Frank and Sergio's look over that of Arnold, I admit that Arnold did have Frank on size and would therefore be considered more impressive by most unbiased judging standards. Another point that I would like to make is that most of the physiques in the contest seemed very human - not cartoons or science projects like some of the modern physiques. Some of the pros had absolutely perfect tans and colour, something not seen as often today with the advent of pro tan and dream tan and the like which has eliminated the need for tanning in lieu of a quick fix. This goes to show that super 8 film gave very true colour and was a brilliant medium for its time. The two freaks who did have physiques which seemed unattainable in the contest would have been Arnold and Sergio, but more so Sergio who was a complete genetic wonder - and allegedly known for his poor diet to boot! Proof of how far you can go with the right genetics. 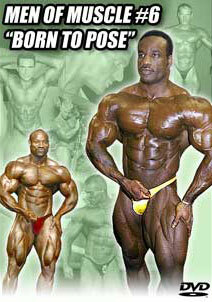 However Bill Pearl came out on top in the 1971 Pro section with the perfect blend of size, proportion and condition. This was Bill's last contest. The DVD featured a lot of music from what sounded like the late sixties. As I mentioned, the format of the contest was not set in the usual prejudging / individual routine fashion common among other DVDs, including most contests produced by GMV. The film quality was essentially what you would expect for such a contest of the time. What is most important is that the essence of the contest was captured in terms of the quality of the physiques and the overall stage presence of the bodybuilders. 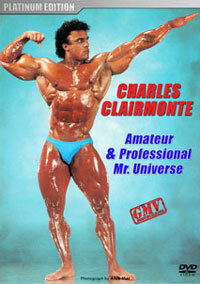 Another classic piece of bodybuilding history captured by GMV. "This early NABBA Universe was the first major international event I shot on film (the 1970 Mr U) and it was shot under extremely hostile and difficult theatre conditions, similar to that in 1971. I filmed under threat of being thrown out of the theatre if I had been caught by the "bouncers" who were also ushers before the event started. When the contest got under way they spent all their time walking up and down the aisles looking for movie film or photo cameras in the audience. I had to shoot each time their back was turned for a minute or so, and then they were back - up and down the aisle like patrolling prison guards. I kept my camera hidden in a brown paper bag with a hole in one end for the lens to see through. You have no idea what one went through to record history back in those early days in UK. If I had not done this there would have been no 70s Universe footage of legends such as Arnold, Pearl, Sergio, Zane, Coe, Park and many more great champions. As this was shot on super 8 film, my only regret was that I could not record all competitors." - Wayne Gallasch.